With CCP Seagull once again at the forefront, CCP have announced the next steps in the evolution of Eve Online. There has been a lot of chatter about the changes, despite the lack of details. In the debate, logistics ships and their part in the PvP meta have been a hot subject. I am here to deliver the logistics pilot’s perspective. Being a logi pilot is complicated, at least in comparison to the typical F1 DPS pilot. Logi are expected to act semi-independently, taking in multiple feeds of information, disregarding much of the FCs audible commands, and make decisions based on all of this. This is a role that requires a higher level of concentration and involvement. Logi pilots tend to be a slightly different breed, often hanging in logi comms to better coordinate and to avoid the inevitable chaos of main fleet comms where the height of conversation is often a fart or bong rip. There has been discussion amongst Eve notables that a logi pilots main function, remote reps during large fleet battles, is a primary cause of fights not happening. While logi is definitely a factor, it is only one of many. Many in the small gang PvP community also have a lot of hate for logi. Not as much as they hate ECM or warp core stabs, but plenty of small gang enthusiasts are on the nerf logi bandwagon. This is what many in the “nerf logi” crowd would have you think. I could go on, but you get my drift. Logi are a factor in fight decisions, but not the sole reason fights don’t happen. This doesn’t even get into the challenges logi pilots already face from ECM, damps, neuts, and other loving attention they receive routinely while simply trying to spread the love. Most logi pilots are okay with changes to their playstyle, as long they are not viewed as the cancer killing Eve (that is kitey missile ships, obv). Of specific note to logi pilots is the incoming of falloff to remote repairs under the assumption that it will reduce range, something which is unclear at this point. At first glance, there is nothing game breaking about this. It seems to make sense and puts a bit more onus on the logi anchor to pilot more carefully. Like most of the proposed changes, the devil will be in the details. There is some concern that the current meta is empowering kitey ranged doctrines, while forcing logi to close range (again, assuming the range is effectively shortened) with the rest of the fleet and thereby closer to the enemy DPS. 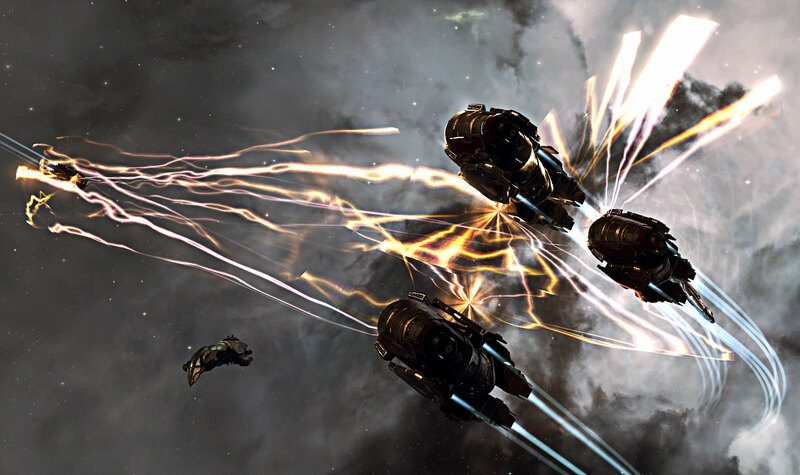 Brawling fleets are not the current meta, yet logi might be forced to yield one of their key defenses: staying out of range. With high alpha sniping in vogue, logi pilots might feel that the ‘nerf’ in their abilities does not come with a commensurate benefit. Of course, falloff may not work out in play testing and we might see a switch to charge based modules, like ancillary reppers, that bring a higher level of micromanagement to the role. The idea of scripts being used to change the role of reppers has also been discussed. There are many ways to change the impact of logi in fleets, but the key to success is keeping the game fun for logi pilots while not nerfing them into uselessness. Watching your fleet get picked apart by Orthruses or Tengus is frustrating. Perhaps a tradeoff might be adding slight bonuses to EWAR like damps or tracking disruptors to give logi a chance to help counter the enemy directly, even if it slightly gimps their fitting. This would also give those logi pilots that long for killmails a way to see their name on a killboard. Seeing exactly how the dev team decides to implement the falloff will be interesting. With module tiercide likely, perhaps we will see reppers that trade off longer range for lesser rep amounts. Or higher capacitor usage for longer rep range. Or lower capacitor use for lower rep amounts for skill point challenged pilots. Many possibilities exist to give logi pilots more options on situational fits for their ships rather the simple “AB or MWD fit?” choice that exists today. Getting outside of today’s thinking completely, a serious logi rework could entail making remote repairs ship specific. Imagine rep modules that only work on a certain ship class. For example a repper that only will work on battleships and BCs, but not on cruisers or below. Or capital sized reppers that will only work on sub-caps, but not capitals. There are lots of possibilities to reduce the wide utility of logi while at the same time giving logi pilots options and choices of specialization similar to what DPS and tackle pilots have. Extremely specific roles for logi. A Hugin pilot has one role in a fight: use their extraordinary webbing bonus to slow ships for the rest of their fleet to hit easily. Consider a targeted logi module that can increase resistance on a ship based on a selected script/crystal/charge, but is unfittable with any remote repair module on a ship. Or a module that increases the repair bonus of an internal repper on a targeted ship. These types of modules might work well on the T1 logi cruisers, which are usually flown only when pilots can’t fly T2 versions yet. 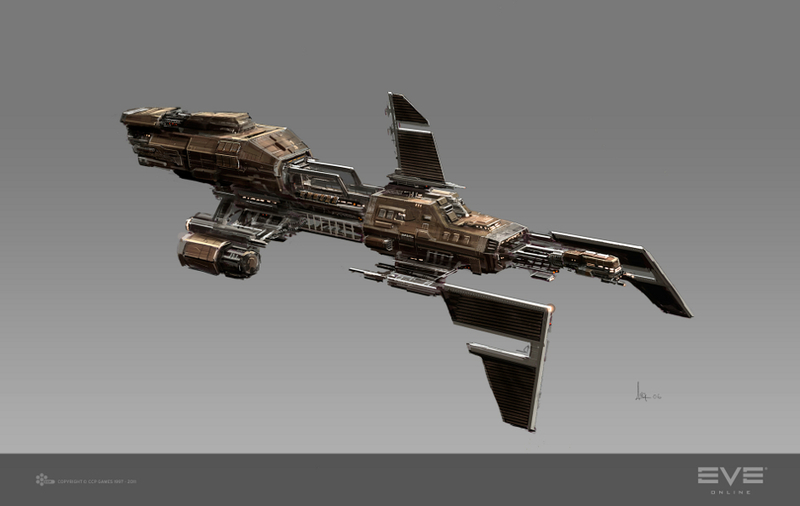 Trading off the lower resist and tank profiles of the T1 ships for some unique abilities would definitely change up tactics, fleet composition, and overall doctrines. If CCP sticks with going with falloff as the only change, the logi pilots most affected by falloff will be the logi anchors, who will have to be even more on the ball with maintaining ranges and maximizing the ability to mitigate damage. Like mainline FCs, a complicated, busy role gets even more complicated. Assuming there is simply an optimal range for remote repair modules, with falloff similar to weapons systems, I don’t think it will do a lot to change the strength and impact of logi in fleet combat. Reducing the range of logi will change some tactics and doctrines, but won’t change the situation when enough non-counter-measured logi can make a fleet uncrackable. The dev team are sharp and realistic, so I doubt that is the only change to remote repair they are considering. However, if it turns out to be falloff only, the ‘nerf logi’ crowd will remain unhappy. The natural evolution from fleet logi pilot to carrier pilot is common and the coming changes to this playstyle are of concern as well. With Phoebe, carrier pilots were put at a disadvantage not just with the range limits and fatigue, but that a key role, carrying ships, becoming almost completely overmatched by the jump freighters and their range and basic lack of fatigue. Add in the basic buff to supercapitals that operate in the local area, and the average carrier pilot has reason to feel glum. Several people that have seen the plans for capitals and supercapitals under NDA have told me that the plan looks ‘good’ and ‘exciting’. I am hopeful that my glorious Nidhoggur will once again roam the void looking for adventure. One aspect of the future plans that has been met with mixed opinions is the auto-regen of the Citadels. Many carrier pilots know the staggering boredom of repping structures occasionally turning into the excitement of repping under fire of the enemy to beat a timer or other deadline. The feeling of dropping into triage with the hopes of the fleet on your back to save them and/or the structure while you enter ‘likely suicide mode’ is special. Citadels will require large investments by alliances and will be the site of many battles. Not being able to be of direct use in saving the Citadels just plain feels wrong as a carrier pilot. I understand the idea behind the design, but that doesn’t stop the idea from tasting bittersweet to a logi pilot who often tells stories of last minute saves and burnt-out modules. Much will be revealed at Eve Vegas, so for now, most carrier pilots remain optimistic that their ships will once again be called upon by FCs to undock and do battle. To be honest, most logi pilots are content with the gameplay itself as is, you don’t hear them complaining much. Last year I did a survey of over 400 logi pilots. I gathered many ideas and then asked people to force rank the ideas, both good and bad. 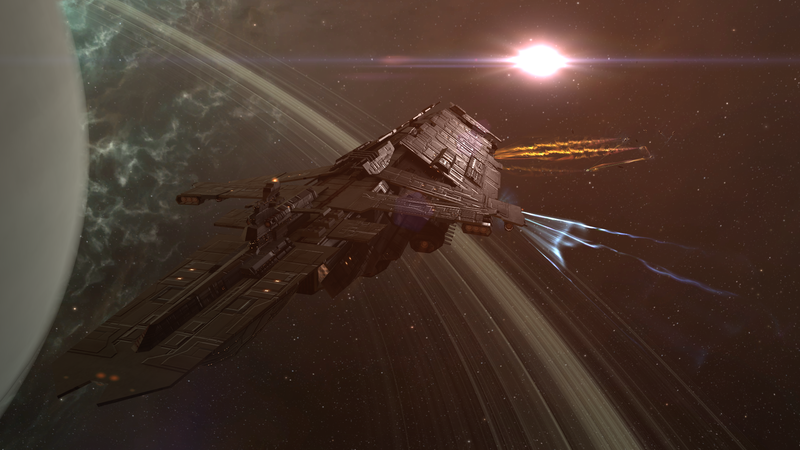 The outlier idea was logi on killmails, which some pilots want and others hate. The majority of wants surrounded the information that logi were presented. Seeing the ship type in broadcast and seeing capacitor level on the watchlist are examples of the kind of information that is desired. Again, logi pilots are a different breed. The highlight of a fight is not a killmail, but pull a ship deep into structure out from destruction and restoring it to a fight. Hearing “thanks logi, I thought I was a goner” in comms is what bring logi pilots back into fleet, night after night. They want to do their job better, and changes that let them do their job with better information are the kind of thing they want. Lastly, when the inevitable tiericide comes, all logi pilots hope the dev team will find a place for the revered names, S95a, Solace, and Regard.